Online Home Loan is very fast catching the fancy of many. The key reasons for increase in uptake of Online Home Loan service is convenience and intelligent online marketing. Remember that Convenience comes at a Cost, lets check how. In the month of July’14, i log in to internet banking of ICICI Bank. Welcome screen of internet banking offered me Pre Qualified Home Loan of 90 Lakhs. I decided to give it a try to check Online Home Loan service/process. Here i would like to add that Online Home Loan application software of most the banks is managed & powered by Bank Bazaar which is basically an online marketplace. In short, Bank Bazaar provide lead management tool for online Home Loan application. Preliminary screening of all online home loan applications is carried out by Bank Bazaar and shortlisted applications are forwarded to respective bank. Even online credit card application interface & preliminary screening is managed by Bank Bazaar on behalf of banks. 1. Work Email detail is mandatory. In short, if you are self employed or may be you would not like to share work email initially then you cannot apply for Online Home Loan. 2. It is mandatory to provide Co-applicant details for processing of Home Loan application. This was my key concern for not availing Home Loan from ICICI Bank. In short, you cannot apply for online Home loan without co-applicant/guarantor. I called call center to check on this point. I was told by CC executive that this information is required only for processing purpose and i can always drop Co-applicant at later stage i.e. at the time of document submission. Unfortunately this information was not TRUE. 3. To create sense of urgency and as a marketing gimmick, Processing fees of Rs 30,899 was waived off and Admin fees of Rs 11,236 was mentioned under special offer. Now this technique work on unsuspecting borrowers but i am not sure how many borrowers will pay approx 42k towards Processing fees and Admin charges for online Home Loan service. On successful submission of Online Home Loan Application, i received confirmation that bank executive will contact me within 2 days to collect the KYC documents. Surprisingly bank executive called me next day and when i clarified on co-applicant part then he simply refused to accept documents without co-applicant or guarantor. He tried to convince me that it just a formality. I fail to understand the insistence of Home Loan Provider for co-applicant or guarantor when original documents are with bank as guarantee against mortgage. Bank always have an option to sell the property in case of default. Being a Co-applicant or Guarantor impact the borrowing limit and CIBIL score of guarantor therefore impact the future prospects of availing any kind of loan/mortgage or credit card. 1. CIBIL Score Enquiry at Preliminary stage: I pull out my CIBIL Report every 6 months. Recent CIBIL Report was shocker to me as i observed that ICICI bank posted an entry of Rs 75 Lakh against Housing Loan under Enquiry Information section of CIBIL Report. When i applied for online credit card through ICICI Bank then also there were 2 entries posted in enquiry information section for Credit Card application in CIBIL Report. In short, first entry is posted by bank bazaar during preliminary screening and second entry is posted by ICICI Bank at final stage of approval. It is quite strange that customer pays the price for operational inefficiency of bank i.e. why bank post double entry in CIBIL database for a single application i.e. Home Loan or Credit Card. All the CIBIL details can be checked first time so that customer is not penalized for multiple enquiry in CIBIL database. To summarize, in case of online home loan application preliminary screening of application is carried out by 3rd part agency i.e. bank bazaar and final approval is granted by bank i.e. ICICI Bank. CIBIL report of a borrower is pulled out at both stages which is not necessary and highlights operational inefficiency. In my case, i cancelled my online Home Loan application before submission of KYC documents but unfortunately CIBIL database was hit simply based on Online Home Loan application. I observed drop in my CIBIL score due to this practice. CIBIL is just a database without any intelligence. From CIBIL perspective , 2 entries means 2 applications for Home Loan. 2. 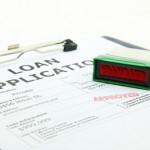 Terms and Conditions of Home Loan: Home Loan approval is very opaque and complex process. While applying for online home loan, borrower is not aware of very crucial points or does not under practical implications of these point. In my case, i was mislead by call center on point related to Home Loan Co-applicant. Like this, there can be numerous critical points which should be clarified & discussed in person with authorized representative of bank before Home Loan Application. After series of bitter experience, i do not trust Call Center executives, DSA’s and Sales Executives of banks anymore. 3. Home Loan Eligibility: Any pre-qualified offer or initial commitment on Home Loan amount is quite misleading specially in case of Online Home Loan. Customer assume that pre-qualified Home Loan amount is his/her actual Home Loan eligibility though bank clearly mention that approved Home Loan amount may vary and subject to change. By showing higher pre-qualified Home Loan amount is like playing with an aspiration of a borrower to own a house & is pure marketing gimmick. In my opinion, the practice of quoting pre-qualified Home Loan amount or similar marketing tactics should be stopped. Borrower should be only informed about final approved Home Loan amount depending on Home Loan eligibility of a borrower. I discussed Home Loan Eligibility in my post How Home Loan Eligibility is Fixed & you can check how complex is this process. Home Loan Eligibility help borrower to make informed decision regarding property purchase. I hope you liked the post. It is advisable to make informed decision considering all the pros and cons. I am not against technology but technology should be enabler rather dampener. For online Home Loan, a comprehensive manual should be available so that customer can make right decision related to life long liability i.e. Home Loan. Online Home Loan has potential to reduce cost of operation drastically for banks thus reducing dependence on ground sales force to large extent. The benefits of this savings can be passed to customer through interest rate cut :) In my opinion, after initial success of online home loan application, banks should take full charge of end to end online home loan process to safeguard interest of a borrower.